Hello and welcome to the Secured Courier / Greenteam website. We at Secured Courier / Greenteam Courier are pleased with this website. We hope that you will be too. We hope that you enjoy using and operating on this site for all of your courier needs. A great deal of time and effort has gone into it’s design with you the customer in mind. I have been in this business since the early 80’s as a driver,dispatcher, office manager and since 1986 as the owner of Secured Courier. 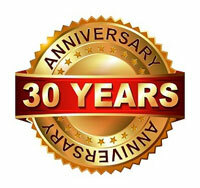 We have just Celebrated our 30th Anniversary! Now I‘m very pleased to announce that we have expanded, opening another location in Toronto’s West end to better serve our clients needs there as well as in Etobicoke, Mississauga and Vaughan! We are also opening our northern division / Georgian Bay soon! In addition, our Greenteam Courier division now operates in the city core and all along the TTC subway routes. 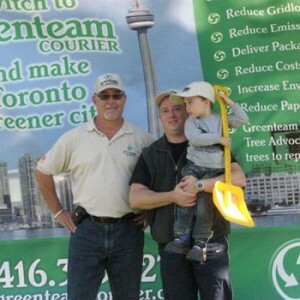 This is Toronto’s first environmentally driven courier service using 100% People Power. Click here for all of the exciting news about this “Green” concept! I know only too well what you require from your courier supplier on an ongoing basis day in and day out. The key words here are RELIABLE, ON-TIME, PERSONALIZED, FRIENDLY SERVICE and COMMUNICATION. It has been my mandate to provide each and every one of my clients with these very important principles. We have developed this very easy to use and effective site to fulfill all of you delivery requirements no matter how big or how small. Many times I have been complimented on the name of my firm and have been asked why I chose the name Secured Courier. The answer is simply that I wanted you to feel and be secure in knowing that we were going to make sure that your important package or document arrived safely and on time each and every time. It’s really that simple. 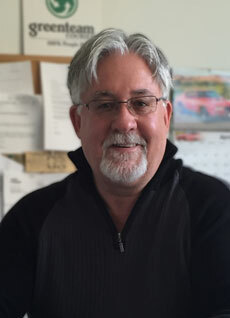 So once again I welcome you and please call me or email me any time personally to answer any questions or concerns that you may have with regards to any aspect of this site or the service that we provide. I am always available, and oh yes please remember – we are only as good as your last delivery! My dad told me that 30 years ago and I’ve never forgotten it!